Activision has a history of releasing multiple starter packs for their Skylanders games – in fact last year a true completist would have had to purchased at least 7 different Skylanders SuperChargers starter packs to finish a collection and they are not cheap! Thankfully this time around the upcoming game Skylanders Imaginators (Oct 16, 2016) looks to have only three variations on their starter packs: The Standard Edition, The Crash Bandicoot Edition and The Dark Edition. ROBERT WELKNER is COIN-OP TV’s Founder/CEO and Editor-in-Chief. 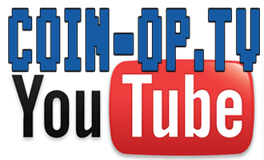 Robert launched COIN-OP TV as a way to meet and interview classic gaming experts and collectors in 2004 and now develops content that spans the entire video game industry.